Mostly known for her skillful acting in several dramas and movies as the leading role, it is no wonder that Shim Hye-jin is acclaimed as the most representative actress in the 90s. 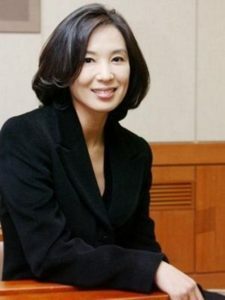 In her early days as a model in commercial films, Shim Hye-jin had a strong attachment to the brand Coca-Cola, which she became the model for in the late 80s, hence her nickname “Woman like Cola.” In addition, Shim Hye-jin’s skill in the field of acting has been appreciated and proven by the many awards she has won, such as Best Actress on Chunsa Film Art Award, Grand Bell Awards, and Blue Dragon Film Awards, Favorite Film Actress on Baeksang Arts Awards, Special Award on MBC Entertainment Awards, and many more. In this article, Channel-Korea will present you with all about Shim Hye-jin, which includes her full profile, the list of her television dramas, movies, and variety shows, and her husband and family. So, keep reading! As has been presented in her personal profile earlier, Shim Hye-jin was born in 1967. According to the Korean Age System, in 2018 Shim Hye-jin’s age is 52 years old, while according to the International Age System, Shim Hye-jin is 51 years old. Besides Shim Hye-jin, there are other Korean actresses who were born in 1967 as well, such as Kim Hee-ae, Bang Eun-hee, Kim Seong-ryeong, Shin Young-jin, Park Mi-sun, Lee Hee-gu, and Nam Hyeon-joo. Shim Hye-jin is considered a tall and fit woman even though her height is only 169 cm, whereas her weight is 51 kg. We previously mentioned in brief that Shim Hye-jin is a senior actress who is able to act in various kinds of genres and roles. In her prime days, she was often chosen as the lead, hence the trophies that she received by prestigious award shows. Though in the recent time she only acts in supporting roles, Shim Hye-jin still shines along with other younger actors and actresses. Such are her performances in My Spring Days with SNSD’s Sooyoung and Kam Woo-sung, Kill Me, Heal Me with Ji Sung, Hwang Jung-eum, and Park Seo-joon, and Strong Woman Do Bong-soon with Park Bo-young, Park Hyung-shik, and Ji Soo. In this section, Channel-Korea has compiled a list of television series, films, and variety shows that Shim Hye-jin has starred in.